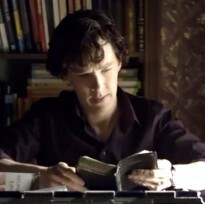 Not really a review, more a note - Sherlocked into My Mind Palace! I really want to read this, so I'm going to have to track down a physical copy (sorry Kindle but I can't trust you with this). 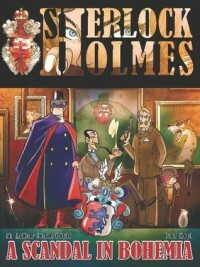 The artwork, one single portrait of Holmes, looks really good and quite distinctive. I'm interesting to see Kopl's retelling. While the comic didn't appear, several notes and appendixes did. I found the author's thoughts on Sherlock Holmes himself, as well as the "real" relationship between him and Irene Adler well worth reading. They almost made up for the missing comic.